Once a payment has been received, any refunds will incur a 4.5% charge. This is the charge we have to pay to our card processor, regardless of refund amount. All returns. Please do not leave a card in the receiver. We do not accept any responsibility if they go missing. We charge a 10% restocking fee on all unwanted items. All returns must be booked in by either telephone or e-mail where we have replied and agreed to a request for service or return. the majority of faults can be sorted out over the telephone or by e-mail without having to return a product. Under no circumstances return a product without making contact, talking to an engineer, and then booking a return in advance. Goods must be returned with a covering letter or the goods will not be examined. A covering letter detailing fault, the Invoice Number and date of purchase, return address and contact telephone number is required. Failure to follow this procedure could result in the goods going into storage until the customer contacts us. When returning goods to us, a product must be packaged so that the manufacturers’ packing is not damaged. e.g. 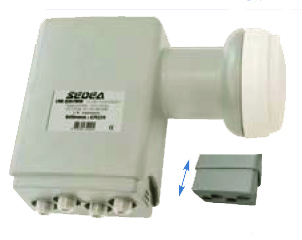 a receiver should be packaged either in an outer box or similar protective packaging. The product, all accessories and the manufacturers packaging must be returned complete and in new condition otherwise, the product will not be replaced, it will be repaired. A damaged product or packaging is considered to be then owned by the customer and is not eligible for replacement. It will only be repaired and returned. The request for a return of this type must be made within 3 days of receiving the goods. All returned goods are tested fully before a refund or replacement is given. 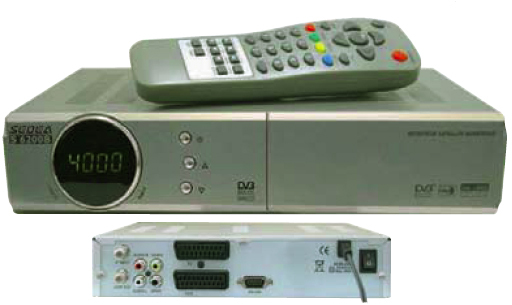 All New Sky Digiboxes have a 1-year guarantee, from date of invoice. There is no guarantee with the card as to how long it will remain active but Sky have stipulated that these cards should remain active to at least 2006, but may last as much as 5 years longer, depending on the “card renewal schedule”. Brittany Satellites cannot take responsibility for viewing changes made by Sky. Sky has guaranteed these cards for 2 years – 2007, but may last as much as 5 years longer, depending on the “card renewal schedule”. Brittany Satellites cannot take responsibility for viewing changes made by Sky. All Sky contracts are for 1 year. If a subscription is returned before its expiry date no refund can be given. Cards must be returned to Brittany Satellites. Brittany Satellites cannot take responsibility for price or viewing changes made by Sky. Please note all packages’ start with option 1 for the first month, and then it can be downgraded. After this time the correct price of your allocated package will come into operation. For any reason should there be any fault with payment within the 1st month the 31 days will start again. Payment is always taken 1 month in advance by Sky. All boxes are checked prior to despatch and leave in good working condition. They are 2nd hand and are bought as seen. The receiver may or may not have domestic markings on it, but this will in no way detract from its working ability. All 2nd hand boxes come with a 3 month guarantee, on date of invoice (as stated on order form). 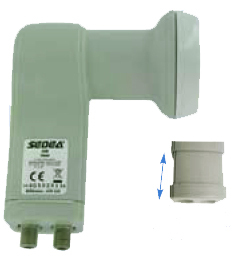 Any replacements will be as close to the original as supplied and no guarantee of make. Please note that if you do have any problems with Sky, * CALL Brittany Satellites *If you wish to call SKY TV, please do not ring them from outside the UK.